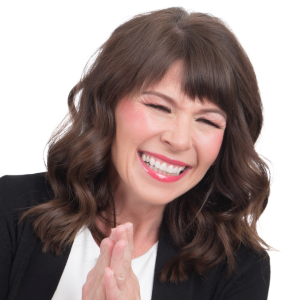 Connie Sokol: Hi, I’m Connie Sokol, a national speaker, bestselling author, program founder, and mother of seven and loving it. I’m reaching and teaching 1 million listeners to live a purposeful, organized, and joyful life. You can too. So let’s go. Welcome back to the You Got This Women Podcast. I am so happy to have you here for more great goodies with all of our presenters and keynote people for the upcoming conference. You get to have a taste of the magic that is waiting for you in just a short while, so, so thrilled. So if you haven’t yet got your ticket, what’s up, go get that ticket. Yougotthiswomen, with an e-n, .com get your ticket and grab your friends. It’s that kind of day, that kind of energy, and I’m speaking today, to one of those people who is bringing it! That energy that just makes it memorable where you walk away and go, I’m going to live on this for three weeks, which is what we did last year. It’s Clint Pulver and I am so happy to have you here. Thanks for taking time with us today. Clint Pulver: Yeah, of course. Thanks for having me on. I’m honored. Connie: If you don’t, know, Clint, you are in for a treat because this man does everything and he does it with such energy and joy. It’s just, it’s such a joy to be around him, so let me give you the bio shpeal first we’ll get that out of the way and then we can move to the great stuff that we really want to get into, but just so you know, he knows what he’s talking about. He has a degree in speech communication. He is the president and founder of the Center for Employee Retention. He knows all about sales training and management training and yet he speaks to adult and youth and is able to go back and forth between the two with the agility of a cat– a ninja cats and is able to be able to get across really key thought the principles but applying them to everyday life and business, which is just fabulous. He also has his pilot’s license and he’s been oppressed professional drummer for 20 years. Jack of all trades, we can’t wait to hear it. What we want to talk about today in line with the conference and also with people achieving their dreams is obviously Clint has been an entrepreneurial man for years making these things work. We know that that takes nash, it takes thought, it takes creativity, it takes bouncing back. So that’s what we want to talk about today, especially if you’re listening today and you’re thinking, oh, I want to move forward on that dream. I just am scared. I don’t know how. Then we’re going to talk to him about how he’s made his way becoming a speaker and also a big name in business. So lit to get us started. How did you keep them decide or want to get into the speaking business? It can be a little daunting. Let’s just be honest. So what is it that led you to be into this? Clint:Yeah, I’ll be honest. When I was growing up, I never wanted to be a speaker. That was like I grew up saying like, I just want to be a professional speaker. Clint: I wanted to, I want it to be a pilot and I had an eye disease when I was younger. That kind of took that dream of being a helicopter pilot and flying professionally and, and kind of put it to the side cause I couldn’t, I couldn’t do that anymore. Um, I actually, I spoke in church when I was a senior in high school and there was a guy that owned a leadership consulting company that heard me speak and he came up to me after and he said, hey, I want you to come and speak at a leadership conference in Saint George, Utah with a bunch of other high school kids, and I said, uh, no thanks. Connie: The teenage money talk. Clint: I was like, um, what day? Uh, when do you need me? Yes, I am, I’m in. And so I actually, I went down and I did it. I put together this little workshop, I had been, uh, you know, a drummer for a long time and I put together a workshop, it was called The Beat of the Drum and it involved buckets and drumsticks and still has a, a part of a workshop that I do still to this day. And I loved it. I had so much fun. I felt like I was doing something bigger than myself. I felt like that was the first time in my young life where I felt like I added value. And, uh, but then, uh, what was interesting is I had six other schools that came up to me after this leadership conference and they said, we want you to come speak at our school, and I didn’t even know that that was a thing. Like I didn’t know you could do that as a job. I didn’t know people got paid to talk. And, uh, so I ended up doing that and I went and did those six schools and kind of, that was the beginning of me starting to kind of craft a message and, uh, long story, short word of mouth and it kind of trickled and traveled into other engagements and other people talked and a speaking bureau found out about me, and it just, that’s how it all began. And I really cut my teeth, in my opinion, in, in front of the hardest audience that there is on the planet, and that is high school students. They will, I call it the lion’s cage. They will eat you alive if you, if you don’t get really good at captivating and engaging and telling stories and the entertainment value. So it taught me really quickly how to, how to be a, you know, a decent speaker, how to engage an audience and, and that’s, that’s kind of where it all started for me. Connie: I love that and I know exactly what you’re saying, finding that audience and how that audience can grow you up. I’ve spoken to youth and I love that they, they really are, –take no prisoners — and the beautiful thing that I can see about what you would offer specifically besides being so engaging is the authenticity and so I meet different women when they’re talking to me about I want to do this, I want to do that, and I, one thing I feel strongly is to encourage them to do is to always be themselves, their best selves themselves. How the, how did you retain that? How do you keep that as you’re talking to adults, talking to youth, how do you keep the authenticity factor because that’s really your voice? That’s really part of your message is who you are and what you’ve been through, so what would you recommend to others and being able to keep, keep offering that authenticity. They’re going to get a lot of expert opinions, a lot of advice along the way. You seem like you’ve been able to retain that, build on it, expand on who you are and brought that to your message and made that part of your message. What would you recommend to others? Trying to do the same thing. I think you have to really think about, you know what? Who am I? What am I passionate about? What you know, and you have to look at it too is, is the speaking world. If someone’s listening to this and they’re like, I want to be a speaker, I want to jump into this world. I get quite a few phone calls on a weekly basis of people that want to do this and there are things that you have to consider and yes, still being authentic but then also having a message that offers value. If you’re a speaker and you want to do this as a, as a career or if you want to be paid to speak, you have to have a message that offers some sort of value. Whether you’re solving a problem, whether you’re, you’re setting the tone for an event, you’re the expert on something. There’s kind of three different reasons why speakers get hired. Uh, one, you are a celebrity in some way, shape or form. You’re an incredible blogger. You’ve done, you’ve got some celebrity factor, some following that you sell seats, you fill seats, you’ve got that celebrity name. The other reason that speakers get hired is you are an expert in some way, shape or form in some facet of your topic. You’re an expert at that. You’ve written a book on it, you’ve done some research, you, whatever that is that that, that people would go, man, when it comes to this topic, that’s your person. That’s, that’s, that’s one reason the speakers get hired. And then the third option is, is you have some story, some something that you’ve done that is captivating. Um, also, I would throw in this, you’re entertaining but maybe you juggle, maybe you breathe fire, maybe you play the guitar, maybe you, you’ve done something, you do something epic or you’ve done something epic that people would want to hear about. People would want to listen to that and then you have to formulate, kay, if you’re one of those three things and then formulate a message that usually solves a problem. Speakers that, that go in and speak. We are professional problem solvers. When that we get hired to go in and plan solve problems or to an enlightened people in a way that they go, okay, this is the tools, this sparks the idea to, to live a better life, to start a better business, to uh, streamline our productivity in our corporation. Whatever it may be. You have to think in that mindset because people are paying you a good amount of money for that time, for that expertise, whatever it is that you offer. But then within that, yeah, you have to find your authentic self, your voice and I think that’s the secret sauce, right? Is when you’re able to do all of those things but still be you. It’s, it’s captivating, it’s, it’s inspiring and that’s why people bring in speakers. Connie: Love it and I think that’s the part of that is the fulfillment for people pursuing it. When you are yourself and you’ve expanded and become, and you’re clear on your message and you’ve shared it and they’ve received it, it’s magic. And so it is that I’m fulfilling my purpose kind of a feel. So I love this. I love how you started off as I like to call it, the unexpected shifts where you’re not planning on it, you’re going in a different direction and boom, you know the doors start opening this way. What have, as you’ve gone through these different doors opening, what’s pick the biggest surprise to you since then? 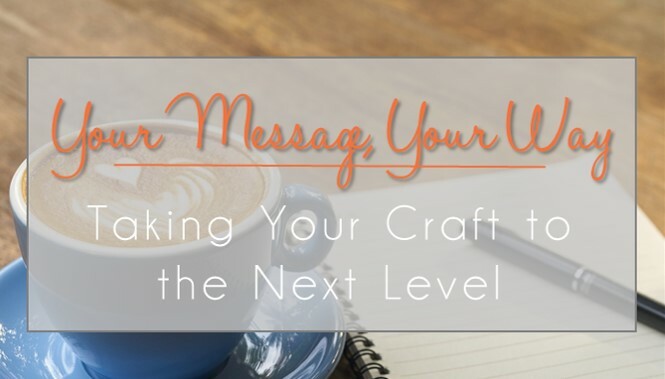 You come in, you started crafting your message, you started getting traction. 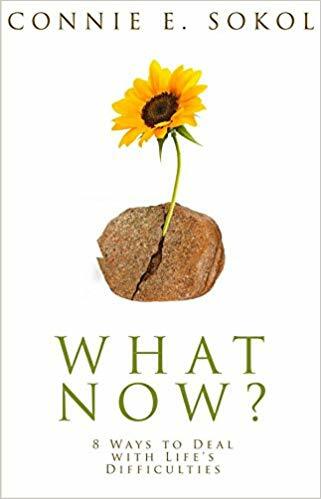 What’s been the biggest surprise to you coming, going into the speaking industry that you maybe didn’t prepare for or that pleasant or otherwise that you did prepare for, that you kinda wish you would’ve known it was a surprise for you? I think the first one that comes to mind is how much of a need there is. Like we live in a world right now. The, I think there has never been a better time for speakers. Uh, there are a lot of life events. There is it, we are in a world of content and content creators and people are, I think more than ever, they’re in that entrepreneurial mindset of creating your own business, doing your own thing. Like with the Internet and what we have through social media and these channels that technology has brought us has really transformed how people are thinking and behaving and they want that knowledge more than ever. The people are wanting to learn more about self-development and change and productivity and we earn a world of information. And so, uh, that was shocking to me when I made first began is how, how many events there are every year in just the United States, like literally thousands of events, thousands of conferences. Every business will do some sort of a training. I, there’s just, there’s a lot of it, there’s a big need, but there’s also a need for great speakers. So that was very shocking to me. The other thing I would say, uh, is it is, it is the hardest thing I’ve ever done. Connie: What is it that hard about it? When people just kind of go, oh, well you just get up there and you speak. What, what is it that’s difficult or that makes it feel like, oh, this is a challenge? Clint:You will earn. If you, if you embark in this endeavor, in this career, you will earn a degree in marketing. You will a degree in writing, you will earn a degree in social media. You will earn a degree in advertising, you will earn a degree in communication. You will– like literally like you own your own business. Like we like from, from the taxes to the contracts to the negotiation to the flights to the, I mean the, the speaking like, like actual time on stage is like 10% of this business. Um, there’s so much more that goes into all of this. I mean the design, the website, videography, how you tell a story, how you market to people. You might be the greatest speaker in the world with the greatest message, but if nobody knows that the, you’re probably not going to get booked. Right? Uh, so the, the there’s just all of the logistics that go into getting you onto the stage and keeping you on stage. Um, a lot of people have said, you know, speaking, it’s a high paying, glorified manual labor job. And then it’s kind of true. It’s kind of true when you think about it. We go from event to event to event. It’s an, and you, if you learn there’s a, there’s a whole ‘nother business side to how do you, how do you make the most of each of it? You know, do you have a book? Do you have a course? Do you have other things that you can sell that you can–cause if not, you know, you’re just, you, you eat what you kill. Um, and, and for some people in their speaking business that works great. Uh, other people, they built out a system that they can really monetize and maximize the influence and the, you know, their time is spent at every event they go to. So there’s just, there’s so much to it. There’s, so the, the, the, I liked that. I liked that. There’s no cap, there’s no limit. It really is what you want to create, but there’s so many options on how to do that. Connie: And so many different directions and I love that you bring up the point that you really need to have that entrepreneurial spirit. And to me it’s kind of a catch 22 because any entrepreneurial thing you do, you have to learn how to speak. You have to learn how to present yourself and your message. And so it’s, it’s kind of a combination thing where if you’re going to emphasize one or the other, emphasize the business side, but use the speaking emphasizes speaking, but you’re going to need the business side with, with all of that in play. I don’t know about you, but I’ve seen a shift in the speaking industry where instead of just stand and deliver, it is now interactive. It is now content weaving. It is now, how can I make your event like the best event? I don’t just come and get my check and go, so what, what are some of the pros that you see maybe some of the cons of that, that someone may need to be aware of it. They’re going to go into this kind of a field, or even, even utilize speaking in whatever it is that they want to do. What, what can they do as far as having this new mindset of, this isn’t just full notes and speak, but what are you going to do with that? Yeah, because I think because of the growth that we’ve, we’ve, we’ve, we’ve seen now more than ever, I talked to so many people in they’re, oh yeah, I’m a speaker, I’m a coach, or yeah, I’m a, I’m a, I’m a, I’m a life skills guy. Yeah. I mentor. Like I feel like so many people do that now and, and yes, it’s a great industry. Yes. It’s, it’s a big need right now. But because of that, you, it’s, it’s somewhat oversaturated. There’s a lot of people that claim themselves as speakers or that are wanting to do this, but there– So you have to remember that and you have to realize that when somebody’s looking at you for an event, they’re probably looking at, at six other people as well. And you have to think about what distinguishes me from them. So say you’re, you’re, you’re the content expert on social media or how to build your Instagram following. There are thousands of speakers that do the same thing. The speak about the same thing. So you have to ask yourself, how can I deliver a better experience? That’s what it’s about. Like speakers are getting hired now, the ones that are really staying busy. You deliver an experience. You take your people on a journey, whether that’s through entertainment, humor, uh, something that you do on stage, something that you offer, something that you can do in your PowerPoint presentation, how you engage with the audience. It really is a show. It’s, it’s about performance as much as it as it is about content. Now you’re going to find people that just do content and you’re gonna find people that just do the performance that I feel like this –You, you, you have to have both, right? You want to provide the value, but you also need to provide the entertainment. You need to engage with the audience. The most people are buying and paying for speakers because they want to bring an experience for their people, for their corporation, for their event. And so if you get really good at doing that, it really sets you apart amongst the sea of all the other speakers that are out. Connie: Yeah, red ocean, blue ocean. That’s exactly right. And I think that’s an important conversation for anyone to have with their soul. How is it that I’m different? What kind of experience am I promoting or saying? This is what this is what I’m offering. So that, yeah, you can get clear and they can be clear that when they’re planning a conference, they go, oh, this person that she’s providing this or he’s providing this experience. That’s what we want for our conference, and I think that is so spot on. So what, how did you develop the things that kind of set you apart? What were some of the things that came to mind for you? That, and you don’t want to, you know, give away any awesome spoiler alerts here that you know for what you do. But is there anything, I know with your professional drumming, I love the concept that you just use what you have and I love that you used what you had when you were first asked to go into that very first speaking assignment that you didn’t intend that you had this drumming, and so you build on the drumming. How have you taken what you already have and differentiated yourself with that? Because that’s such a skill for most anybody listening they need to do. Clint: Yeah. And I think, and I want to also talk about Connie, cause there might be some people that are listening to this and they just might, you know, they might be feeling like, well forget it. Like I don’t juggle, I don’t do magic. I, I haven’t a climb Mount Everest with no legs. I, I there’s no way I could do this and that’s not true. The number one marketing tool for any speaker, any speaker is to have a great speech. Like to be a good speaker, have a great speech, and, and, and for me, I put a lot of time upfront in, in doing that and putting together a speech and it, and it really didn’t even have anything to do with the drums. I didn’t have anything to do with like the wow or what I was wearing on stage. It was, man, he’s great at telling stories. He’s created taking us on a journey. He’s got great content. The speech flowed, he ended right on time. He like, so there’s so much more to like think about through this process and, and again like there’s great, there are great people in this industry that are always willing to help and I think that every person is one success story away from a caring somebody. We need other people in our lives to help us. And if you’re wanting to do this, I would go and reach out to two or three other people that are doing it that are doing this industry, doing this career in a way that you see yourself doing it. My Dad always taught me growing up. He said, Clint, if you want to get good at basketball, you got to hang out by the hoop and it’s the same way for speaking. It’s the same way for business. It’s the same way for you want to learn how to sew or knit? Go hang out with people that someone net, right? Watch videos and watch tutorials. Look at trainings, invest in yourself and I created early on what I call my board of directors, people in my life that I wanted to be like, people that I go, man, I like myself best when I’m with them. Those are people that are doing what I want to do and they’re doing it the way I want to do it. And you are 24 hours away from anybody in this world. If you’re listening to this podcast, remember that, you’re 24 hours away from every anybody and it’s amazing, especially when you’re starting, I call it the rocky story that you know we love the Rocky movies. You love those motivational movies, Rudy. It’s the underdog story. It’s about somebody that probably didn’t have much of a chance or some of them that didn’t think that they could do it or someone that was trying to achieve something great that most people couldn’t do, and when we look at this speaking world or any endeavor in life that’s worth doing, usually it feels like that upfront. But people love the Rocky Story because I think that they relate to that within that Rocky Story. Everybody, I was there once. I still am, I, you, I, you got to stay in rookie mode. I still am trying to figure this out. And when I was young and when I was starting, I just simply went as someone who is opening, open and willing to learn. And I went to my board of directors and I said, will you help me? Will you, will you give me some time? I’ve got three questions. Are you like, and again, I was 24 hours away from anybody in the world and I went to the top. I went to the best people I knew. Um, and I found out a lot of who those people were through the NSA association. I wast just going to say, I think this is a great resource for anyone listening. Our local chapter of the National Speakers Association, it is great. It’s already set up. You look them up on their website, their national website. You can find your local chapter, go to their meetings. There’s usually meetings every month and they have this group of people exactly that you’re talking about from all different levels, all different walks of life, all different different genres that they’re speaking on and everybody comes together and learns the nitty gritty of how to be a speaker and you’re exactly spot on. When you spend more time and you’ve learned those skills, you’re naturally going to get better and have better direction of where you want to go. So you found that to be the case and you say even as you’re going and you are in a beautiful place now of established speaking experience and yet you’re still using that. Isn’t that a core piece of continually to up level that? Yeah, 100% again, it’s all about that association with, with people that are doing what you want to do. And one other thing I would throw in there, Connie, is that when you reach out to these people, cause again it takes, it’s the teamwork to make the dream work. You have to find other people to associate yourself with, great mentors, right? You need, you need those people. You can not do this industry. You can’t do life without the support of others, period. And so when those people pour into you, when those people give you their time, when those people help you and they, you know– gratitude, gratitude, gratitude, gratitude has done more for me in this industry than anything else. Uh, I called the power of, of the Jamba Juice gift card. I have sent out Connie, so many Jamba Juice gift cards, that Jamba juice is still in business. I swear over the gift cards. And if anybody, seriously, kind of, if anybody gave me five minutes when I was young and I would, I would go to events or conferences or these meetings and I’m just at lunch, I’d say, “Hey, can I get five minutes of your time? Can I ask you a few questions? Can I–“anybody did that? I always got their business card. I always got their email and I told them thank you. I would, I would intentionally like send them something that was, it’s gotta be a win-win. Think if you’re jumping into this industry with your clients, with your audience, with your mentors, it has to be a win, win, win, win or no deal. If you don’t have that mentality, then you’re just, you’re not going to last in this industry and it was amazing that just through a simple gift card, you know, I didn’t have a ton of money at the time. I was still trying to like build this industry and build a business and a website and be like, it costs a lot of money and $25 you know, it was a lot of money to give to somebody, but I’ll tell you what, I have gained way more in the, in the information, the time that what they’ve been able to expedite for me in my career by just simply saying thank you and how that opened doors. Like I have never paid for coaching. I have never paid for someone to walk me through this industry. I’ve just simply been teachable and taking the time to really say thank you in the most sincere way possible, and Man, that still works to this day. And I think we have that attitude most you’re willing to help people, especially when you’re the Rocky Story, especially when you’re just beginning in this industry. People remember that and they’re willing to help. So reach out. I love that. Oh, and you are just flowing, I swear. Yeah. As I’m writing down a little note to the side of, I want to, I want to talk about this. I want to talk about that. You just started talking about it! It’s exactly what they need to hear. It’s so, so good. For those of you that were just got a few more minutes with Clint Pulver and I just wanna remind who I’m talking with and he is our emcee for are You Got This Women Interfaith Conference and we are again and we are so thrilled to have him back in. I love, love what he’s been talking about and I’ll summarize it in just a moment, but I love this whole idea of if I could just go back for a second. When you do talk to these experts, when you are talking to these people, I love that you said you had three questions. Like I love this. I do have be scrappy, but be specific. Recognize that these people are busy and don’t waste their time. Let’s see that you have researched, you’ve done your homework and you’re not just flying off the hand off the cuff and saying, Oh, I’ve got you. So I’m going to just take your time. So I love that you make that clear. You do your part and the doors will open and you thank them for whatever they’ve given you. I love, love that. Clint: Yup. Yup. It matters, it really does. So in kind of the last few minutes that we have together, I would love to know if there’s a funny moment or a memorable moment, something that I’m sure it’s hard to even go back through all that file drawer of all the wonderful experiences you’ve had. But is there a moment that was a memorable one, whether it was for, because it was humorous or it was really hard or whatever, but a moment that you’re like, you know, this was pretty defining for me, whether it was you were starting out or you were, I’m going to go ahead and keep going. You know, you always get to that point where like, am I still in? Am I still doing this? Has there been a moment that’s been either really funny or just really memorable for you that’s helped you keep moving forward? Clint: Yeah, I think so. Two things. One’s a funny one and one was a scary, a very difficult situation. Uh, so the, the scary, difficult situation was I was speaking in an arena in front of 3000 people and arenas are, are, are exciting. That’s fun. You know, there’s lots of people, but the sound is always difficult. It’s very hard, and we did a sound check, um, before the event, you always do a sound check. But then when I got up on stage. 3000 people, huge corporate client, um, and, and there was a substantial paycheck behind the presentation. So it’s a big deal its a lot of stress. You’ve been paid a lot of money. You got to perform, you’ve got it. That’s your job. And I got up there and both of the monitors, the main monitors onstage went out. Clint: And so I could literally for, I was onstage for an hour and a half. I literally could not hear myself for an hour and a half. And it was one of those moments where as a speaker I had to internally go my brain and I had to just, I had to, it was the most, I think I’ve ever been focused in my life. And I could not, I mean, I would say something and it would, [reverberating sounds] and you’re in a cement arena where everything’s bouncing off the walls. They could hear great, the huge speakers out in front of me, like they could hear every word clearly, but I could not hear myself. And it was a complete disaster. It worked. It worked, but it was so horrifying. But I learned that like, that’s the moment where you, you got to buckle down and you just push and you just go. And that’s why it’s really good to have a good speech and it’s really good to rehearse and it’s really good, that’s why preparation putting in the time before. So when stuff hits like that, or there’s a distraction, or there’s a heckler in the, in the crowd, or the lights go out, or the mic does or whatever, like you’ve gotta be prepared for those moments. So that was, uh, it was probably the most terrifying and probably the hardest Keynote I’ve ever given thus far. Connie: My stomach is like, that’s like being shot at outer space with nothing. And you’re like, I, okay. Aw, that’s all I can say is, oh. Clint: Yeah, it was a crazy extent. One of the funniest moments was I gave a whole keynote, uh, for 60 minutes and my fly was down the whole time. [Laughing] That was amazing. It was. Yeah. And I got off the stage and I was like, man, I killed it. That was so awesome and the event planners came up and she said, well, you were so great. And she said, just so you know, uh, your flies down and a check’s in the mail. Like, it was like, oh my gosh. Connie: Did they invite you back? Clint: No, no, they didn’t. No, no, it was [gurbled overlapped] but it was, you know, it. Yeah, it was, oh my gosh. I could not believe it. The whole team, the whole keynote, just, here we are. Connie: You know what don’t you feel though? Everybody has to have what I call the big fail. I mean, you gotta have the things that keep humble that keep you aware. It’s, you’ve got to have him and no one gets out of them. And I think I caught him on a closing. I think it’s important. I love that you have talked to the people listening because it’s easy to listen to someone who is at the space that somebody else wants to be in and oh, one I could never do that or to oh he just, it’s him is, it’s a tall, magical because it’s him. Of course it works for him. And I love that you have put this in layman’s terms of it taking the open door, it’s opening the door, it’s preparation, it’s doing your homework, it’s knowing what you want and going for it. It’s all those basic pieces you hear over and over and it follows. It will follow you, so I love, I love, I love, I just want to kind of recap a couple of things. I love the unexpected shifts and you use that you had and then you crafted your message and you said you’ve got to be one kind of a speaker. You got to be an expert or celebrity done something unusual or solve a problem that you can choose one of those and then find your niche, differentiate and then get out there. Be with the people who do this, so that you can rub shoulders and be falling into and creating those opportunities that will move you forward. Is that about right? 100% Yep. And you fail your way to success. Remember that you fail your way to success and little by little makes a little a lot and if you just stay consistent you’ll do it. Anybody can. Connie: Love! I don’t know about you but I feel like doing a cheer. Wooh. To find you to book you Clint. Where do they go? Clint: They can go check out the website. It’s just Clintpulver.com love and there’s a fabulous video on there if you haven’t seen it, about one of the stories that he loves to tell and his kind of genesis of, of what got him going. So, so fabulous. Clint, thank you so much for spending your time with us today. Completely inspiring and so informational and educational. I know women out there listening, if they haven’t wanted to be a speaker, they will now so fantastic and very quickly. If you haven’t gotten your, You Got This Women Interfaith Conference Tickets, get them today. Yougotthiswomen [e-n] .com get them now. Grab your sister, your aunt, your mother, and get down there or more of this amazingness. You are going to have the experience of a lifetime. Clint, thank you so much for being with us today. Clint:You’re so welcome. Thank you, Connie. Connie: Thank you everybody and remember you got this. Hi, I’m Connie Sokol and thanks for listening today to Balance reDefined. Don’t forget to rate and subscribe and if you liked it, get even more life shifting learning with my Facebook where you get more life hacks, experts, community and connection. Join us and add your voice today at facebook.com/socalconnie.